First person description of the trip on an emigrant train, 1879. 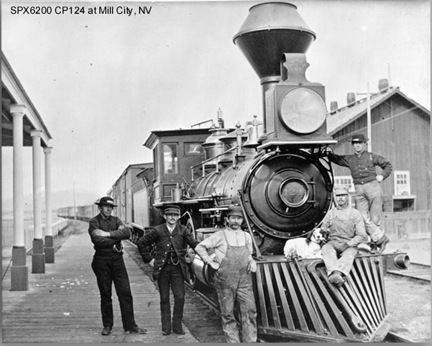 Not aware of CPRR operating east of Ogden, Utah in 1883. The painting is based on a photo taken in Mill City, Nevada, on the Central Pacific, probably in the 1880's. No, the Central Pacific did not operate in Ohio.